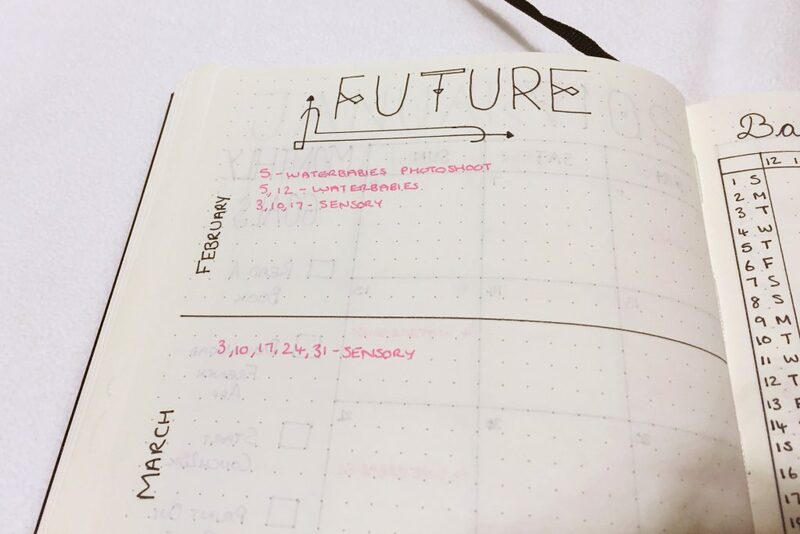 For my bullet journal 2017 setup I am staying in the same notebook. This means there are a lot of things I don’t need to redo this year, like the index and key. I also haven’t done a calendar this year – I forgot. But the reason I forgot is because I don’t remember ever looking at it last year. When doing a monthly spread I’d use my phone calendar as a guide. So I saved myself some time by forgetting to do it. Firstly I started off with a happy new year page. I’m quite tempted to colour it in at some point. Then on the next page I have my 2017 goals. I have 5 goals and then I’ve broken them down into 3-5 actionable steps. I find it much easier to complete goals if they are broken down into steps rather than be faced with something quite overwhelming. As one of my goals is to do a 10km race in under an hour I had to have the couch 2 5km and 5-10km spreads in here. I used the apps by ZenLabs previously and I’m going to use them again this time. I have my yearly statistics spread here which covers my blog, YouTube channel and social media following. At the end of each month I’ll record down the results and then over the year I can see how it’s going. 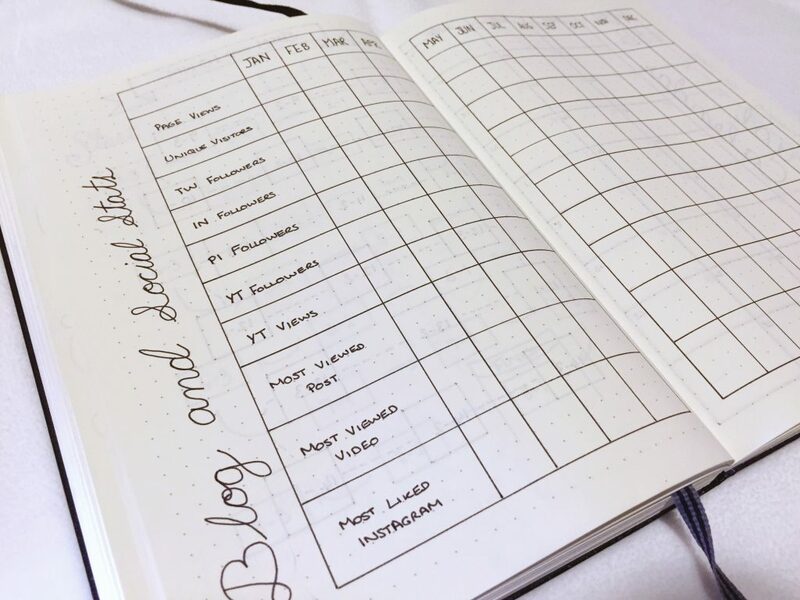 The next blogging spread is my editorial calendar for blog posts and YouTube videos. I do this over two months just so I can see what I’ve got. I don’t plan the whole two months in one go, I fill it in as the month goes on. With the colour coded key sorting out categories it helps me spread out my content more. 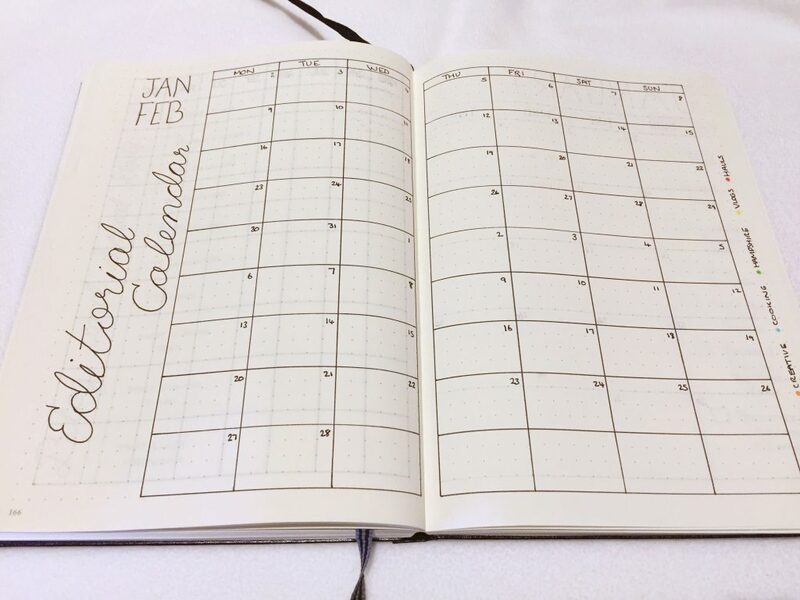 For January’s monthly spread I am all about simplicity. 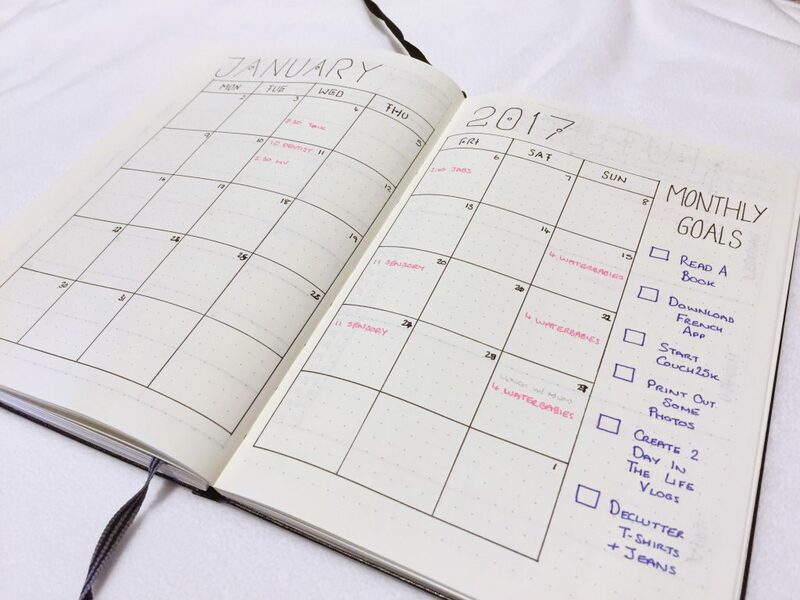 I have included my monthly goals, which are based off my 2017 goals and will help me in my progress. Read a book is there so that I make sure I’m making time for me. Next up is a future log for the next 3 months. Again it’s really minimalist and gives me the space I need for all those dates. My next monthly spread is a sleep and bottle tracker. I’m combination feeding E but it’s useful to record when she has her bottles. I’m trying to see if there’s a pattern so I can get into a bit of a routine, especially with sleep. So having a tracker is really useful for seeing if a pattern emerges. 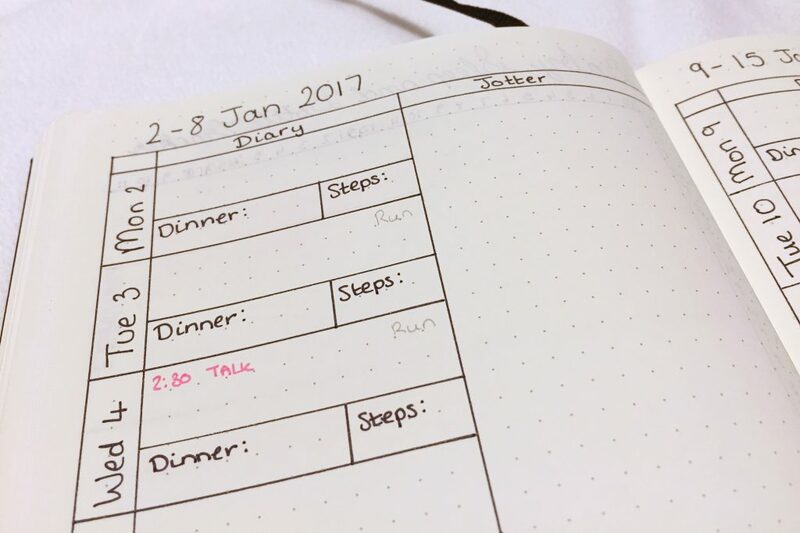 My weekly spread is quite similar to in my December setup however I’ve added dinner and steps boxes. 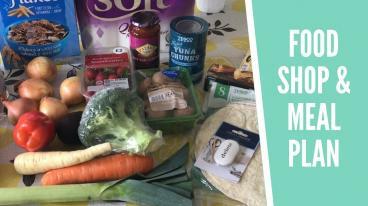 As I need to try and lose some of this baby weight I’m going to attempt to meal plan more and go on more walks. I have a Garmin Forerunner 15 to track my steps but I’m not sure how it will work pushing a pram around. I’ve kept the large space on the right but have renamed it jotter rather than tasks. This space is for tasks, notes and whatever I want to put in it. 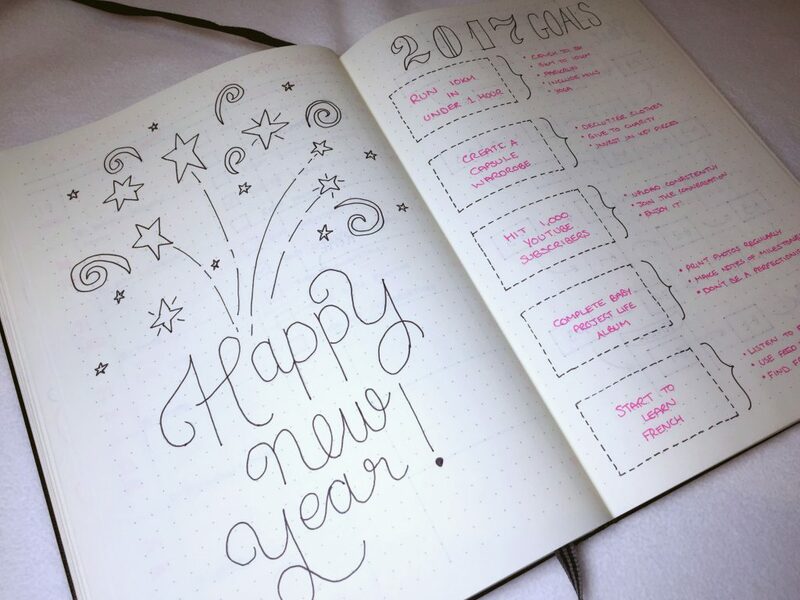 How’s your 2017 bullet journal looking? I’d love to see your January spreads.